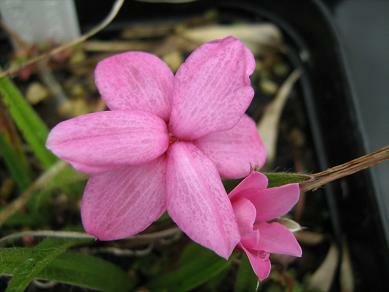 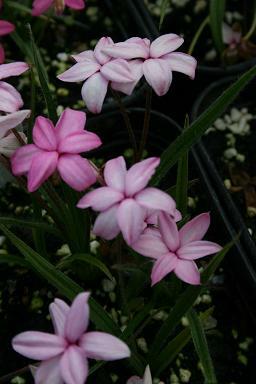 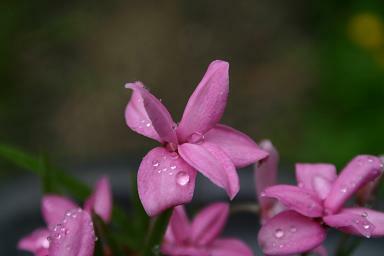 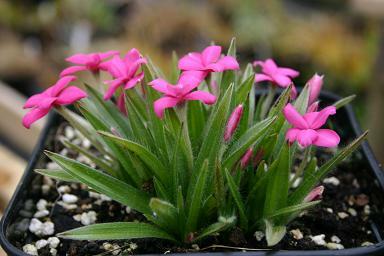 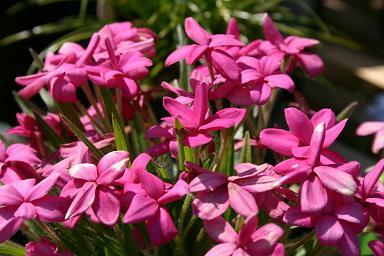 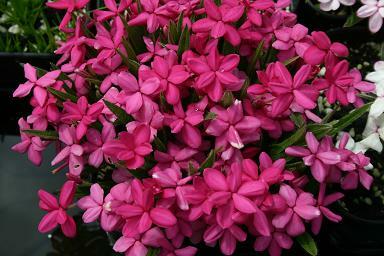 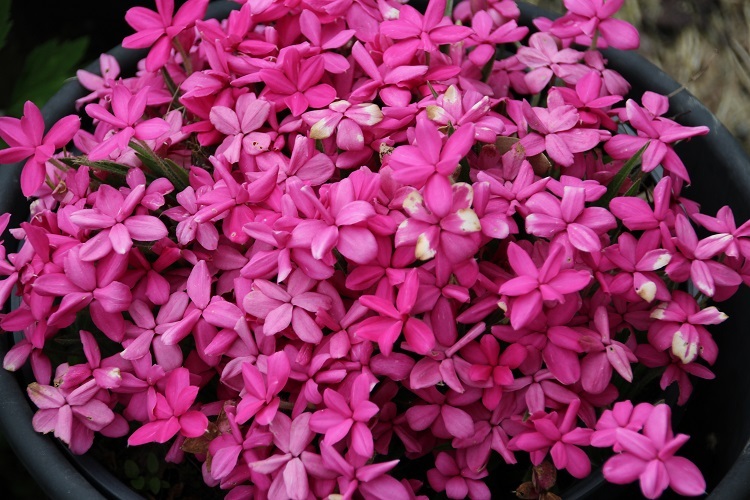 A fast growing deep pink flowered form that will cover itself entirely in flowers. 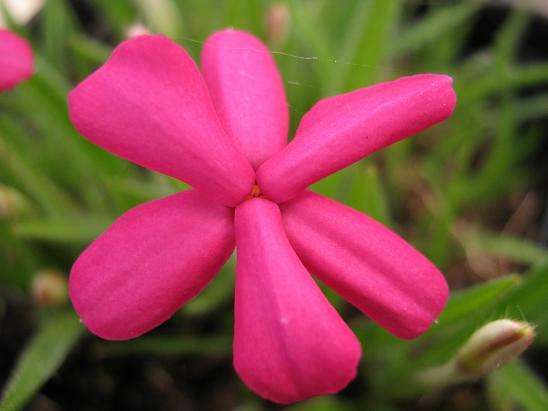 I got this one from a garden centre a few years ago, because I liked the look of it, but it has slowly dawned on me that it is too red, and I finally had to admit that it is wrongly named. 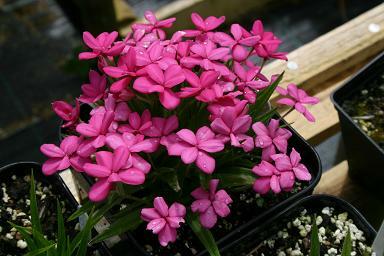 As a consequence I bought this one from a reliable source and it is quite different, and before long it will fill the pot enough to match the flower power of the imposter.